You may have noticed some of the fantastic snapshots gracing our Facebook and Twitter pages. Or perhaps you’ve seen that special something reflected in the many coach photos. Without a doubt, the marketing manager, Pete, has a gift for taking pictures that shine. When he recently expressed interest in conducting a pet shoot for the new blog, Miki, assistant marketing manager, jumped on the opportunity. 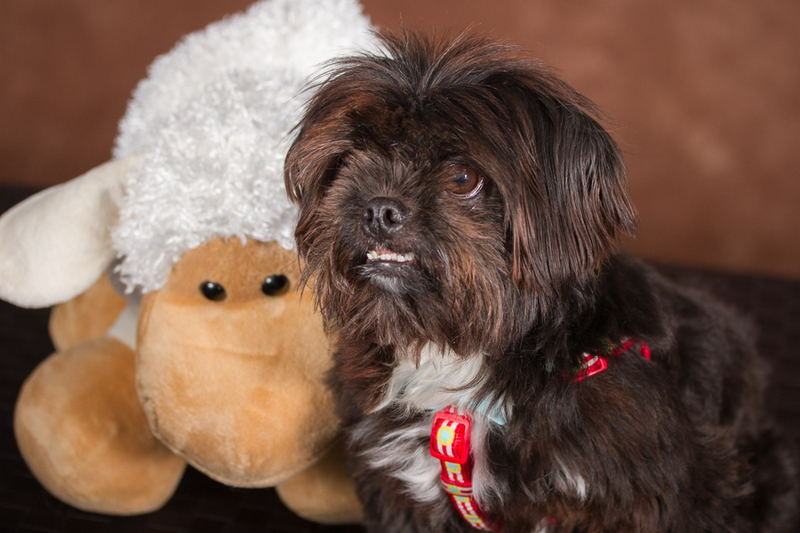 Come photo shoot day, her eight-year-old dog Randy, a Shih Tzu rescue from Memphis, TN, ate up the attention, having a great time on and off the platform. This little guy has lived in three states and frequently makes 6,000-mile loops around the U.S. to visit his many admirers. Although it’s obvious he was born to be a road dog, he enjoys quality couch time at home as well. One of his favorite pastimes is visiting the crew at the Marathon Headquarters. He loves visiting with his friends, racing down the long, winding hallways and taking naps under Miki’s desk. Of course, after a hard day at the office, he absolutely must sniff about the neighboring dog park found at Armitage Park conveniently located only a mile or two from Headquarters. As expected, Pete perfectly captured the many sides of Randy during the 10-minute session. Who knows, if you find yourself spending a little quality time at Marathon while visiting service or touring the facility, he just might be able to capture some precious moments for you. Next time you find yourself in the area, consider popping in, saying hello and seeing what happens.